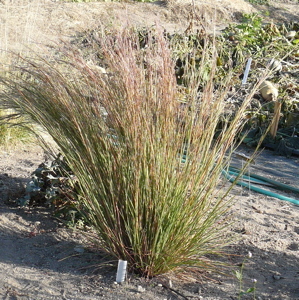 Little Bluestem is a fine-textured, blue-gray warm season bunch grass turning spectacular shades of orange, red and purple in autumn. Dramatic garden accent for four seasons. Height x Width: 2-3 ft. x 1-2 ft.